In a previous blog (System Dynamics Part 1), we gave a presentation of the Ebbsfleet case study, summarised what delivering a System Dynamics model could entail and began the process of developing the model by defining the problem. In this blog post, we will go over the next step, the definition of metrics and variables, while the blog after will document the reiterative process of assembling the causal loop diagram. 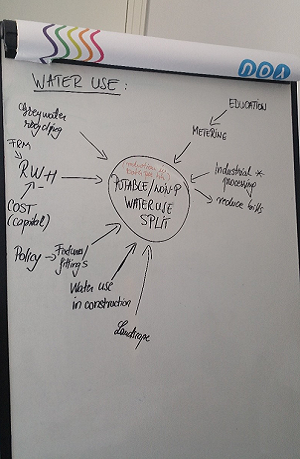 As a reminder, we established that ‘Sustainable urban water management’ is the problem to be defined. 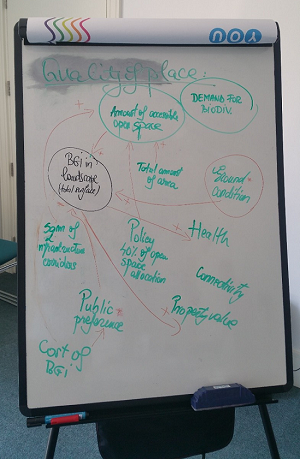 With the Ebbsfleet stakeholders, we defined the dimensions that constitute the problem and a series of key measures for each problem dimension. In the following two workshops, the stakeholders defined the interim list of variables whose behaviour over time defines the problem. This has been done for each of the five problem dimensions. The variables, and the direct causal relationships between them represent the building blocks of the next stage of the model, the causal loop diagram. The direct/indirect causes, direct/indirect effect and drivers of change for each problem dimensions are listed below. In the next workshop, the stakeholders took each problem dimension and selected a metric that defines it and the most relevant variables (Figures 2-5). The variables were chosen in terms of their impact on the metric (does it cause it to increase or decrease?). 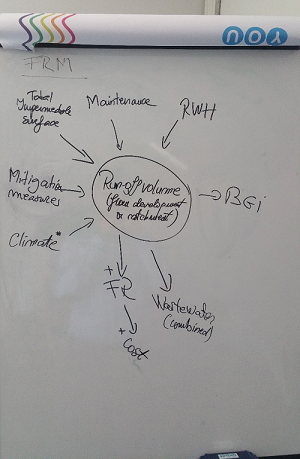 BIODIVERSITY was not mapped out as consensus could not be achieved between the stakeholders. 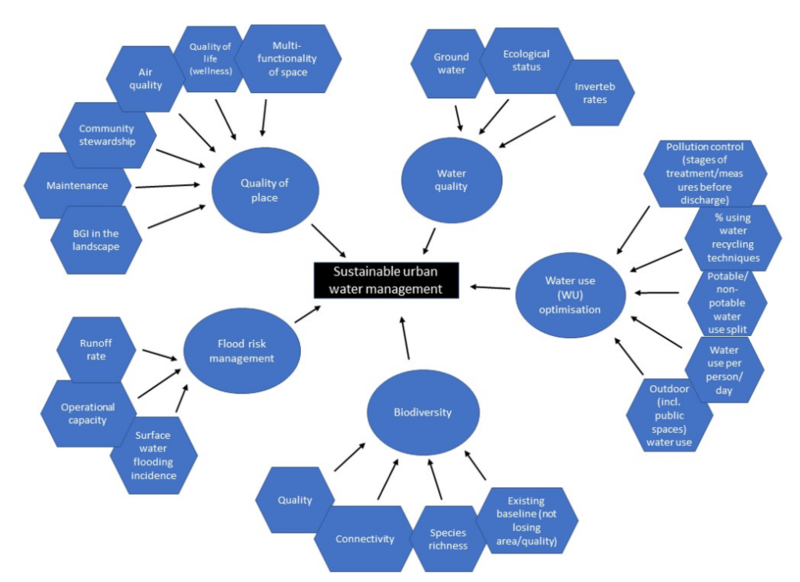 This blog was a collaborative effort by members of the Urban Flood Resilience team. 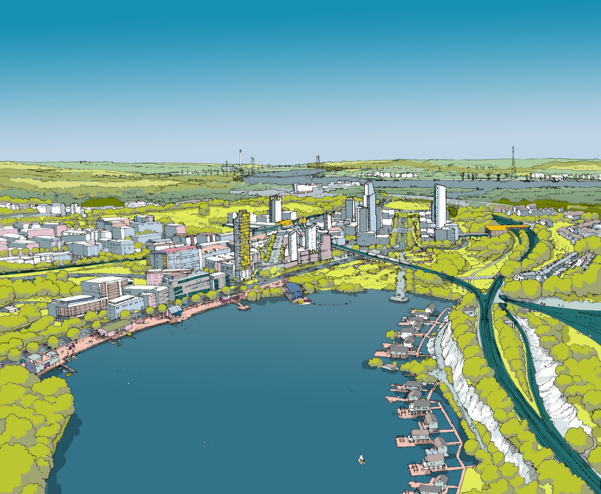 For more information on the Ebbsfleet LAA contact Tudor Vilcan. 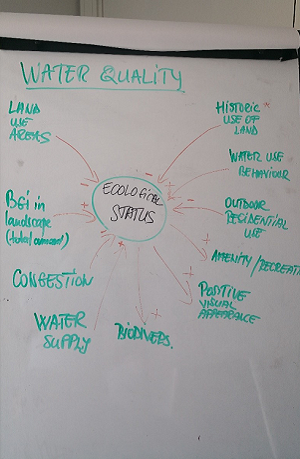 The Urban Water Detective – Where is the Water Flowing?